German course B2 , every Monday from 6.00 to 7.30. Enrol now! 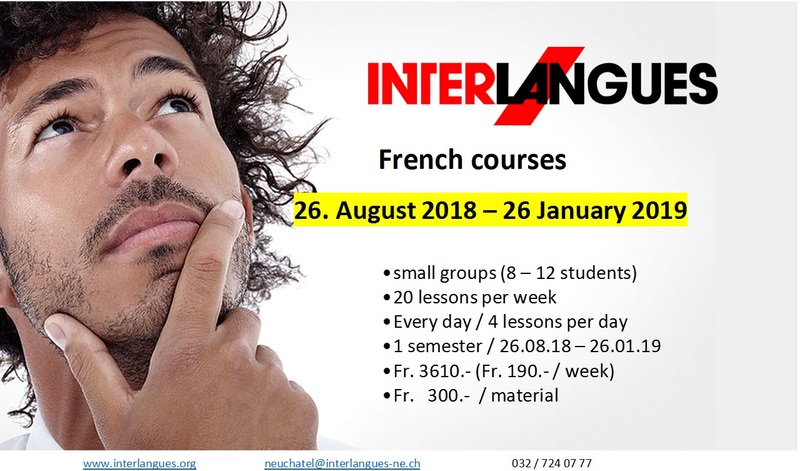 Next course start: 20th August , French course, level B1 , 3 mornings per week ( Tuesday, Wednesday, Friday ) from 10.00 to 11.30. Enroll now!